Arguably the chamber music world’s most homogeneous ensemble, a concert by any string quartet raises expectations for tonal, artistic and spiritual excellence no matter what’s on the program. How disappointing, then, to have those hopes dashed from very nearly the first bar of the St. Petersburg Quartet’s performance; a few glimmers of art did emerge, but they were the welcome exception rather than the predominant rule. With a wonderful combination of well-loved (Mendelssohn), seldom heard (Glazunov) and workman-like (Borodin) repertoire, the promise of exemplary music-making and magnificent ensemble was seldom fulfilled. True, we heard that some sort of immigration issue (“Green card”) prevented violinist Alla Krolevich from entering the true north strong and free (Daniel Austrich gamely filled in), yet her absence could not have accounted for the systemic failure by her individually talented colleagues to rally around that unexpected reality and get beyond the notes of the three offered works. There, too, the musical cupboard was inexplicably bare. For no apparent (or announced) reason, Glazunov’s Five Novelettes was truncated to two (“Interludium in modo antico”; <“em>Alla spagnuola”): imagine a garden salad with only a few slices of cucumber and half a tomato. 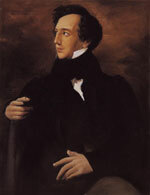 Switching the printed order of the two vrai quartets (allowing Mendelssohn to play ahead of Borodin) made chronological sense but only managed to place the finest composition of the lot before intermission leaving the Russian entry the unenviable task of trying to achieve “main-event” status after the pause. That’s 0 for 3 on the artistic count. Neither of the Glazunov movements settled into their skins. The lean melodic lines of the violins and—notably—violist Boris Vayner’s last solo phrase of the Spanish piece, suited most of the writing but seemed at odds with the much faster vibrato from cellist Leonid Shukayev. 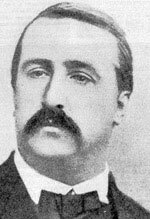 The Borodin fared much better. Here the group often managed a warm, personal tone, just occasionally overwhelming the viola. The “Andante” was a few breaths away from emotional life before the impassioned full bows finally revealed what could be the compelling norm for these musicians. The final two movements were scratchy and scrambled, driving for the double bars without an overarching plan or direction—even the unisons fell short of, well, unanimity.